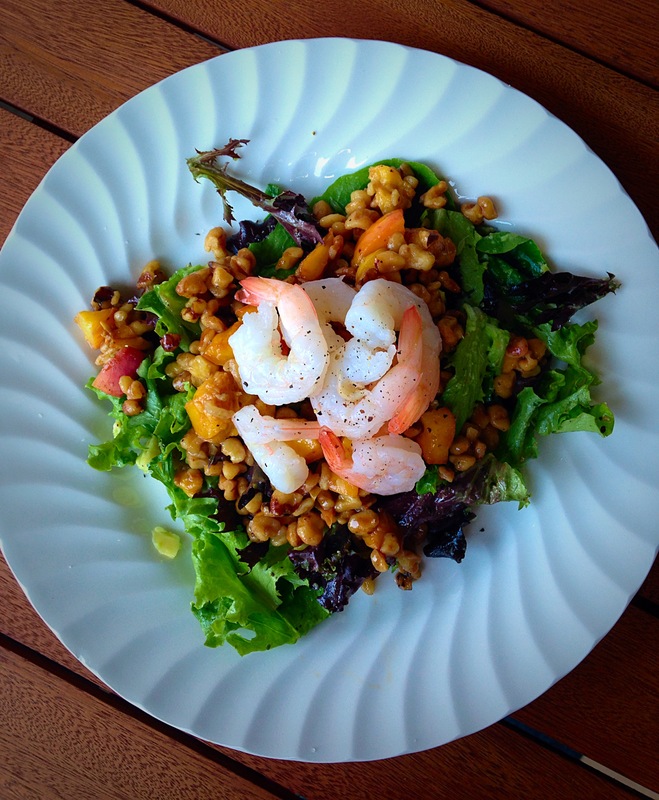 Summer Peach Shrimp Salad | Buoy. ← From the Mouth of Webbie…Senior! This salad is da bomb. Thank you 90’s for that term. 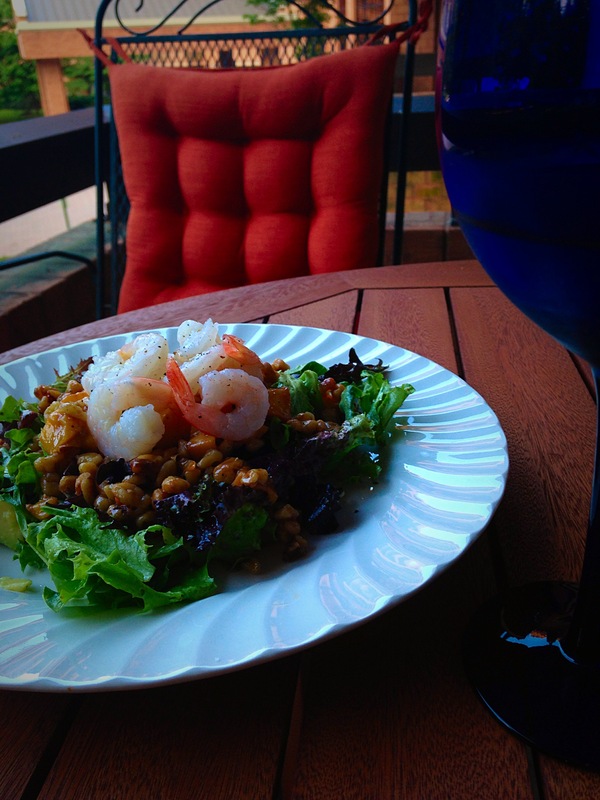 Welcome to 2014 – did I mention this salad is awesome? (considered one of the most overused words in the English language…) You can’t win. 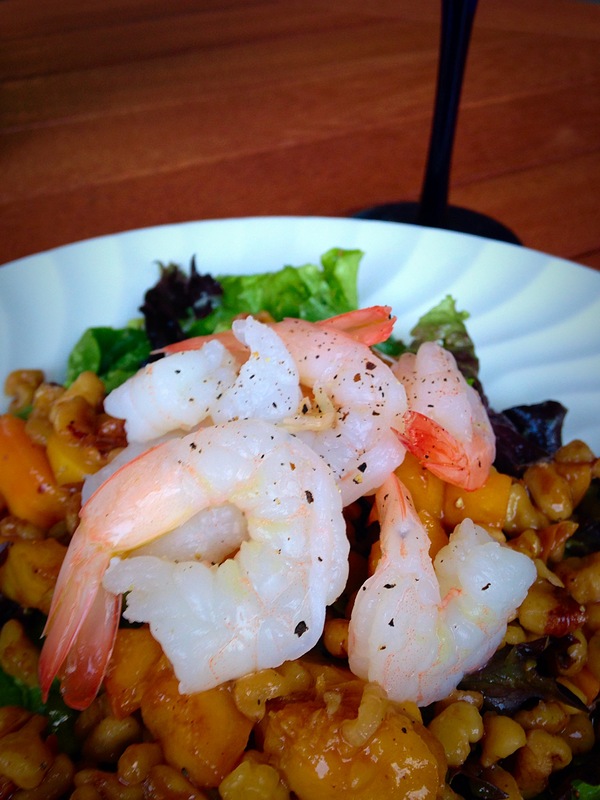 Except with this salad! 1. 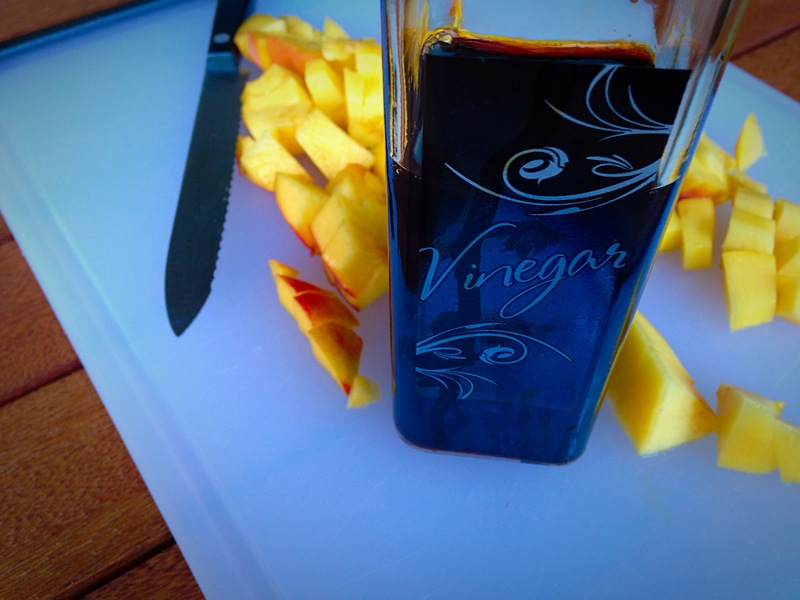 Heat balsamic vinegar on medium high and sauté diced peaches for 2 minutes. 2. Add walnuts, coat with balsamic vinegar and toast with peaches for 1 minute. 3. 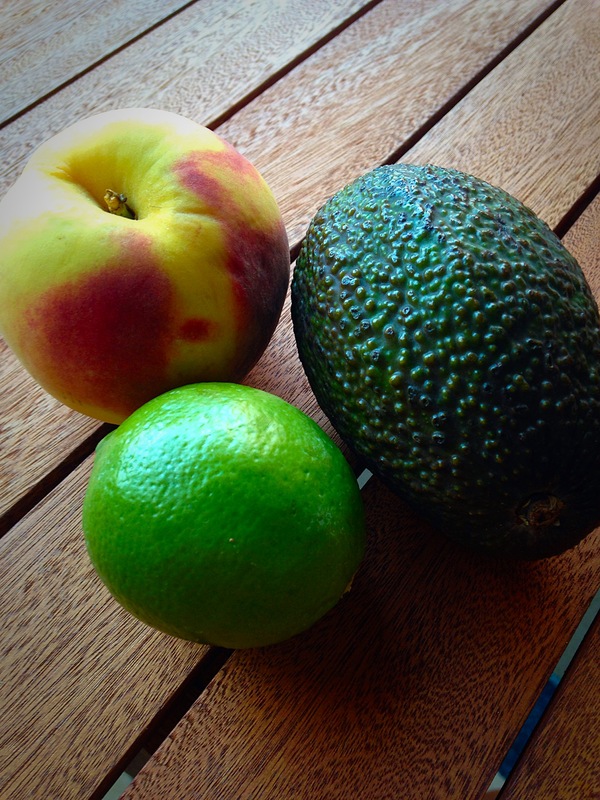 In large bowl, toss lettuce and avocado with olive oli, salt, pepper and marjoram. 4. 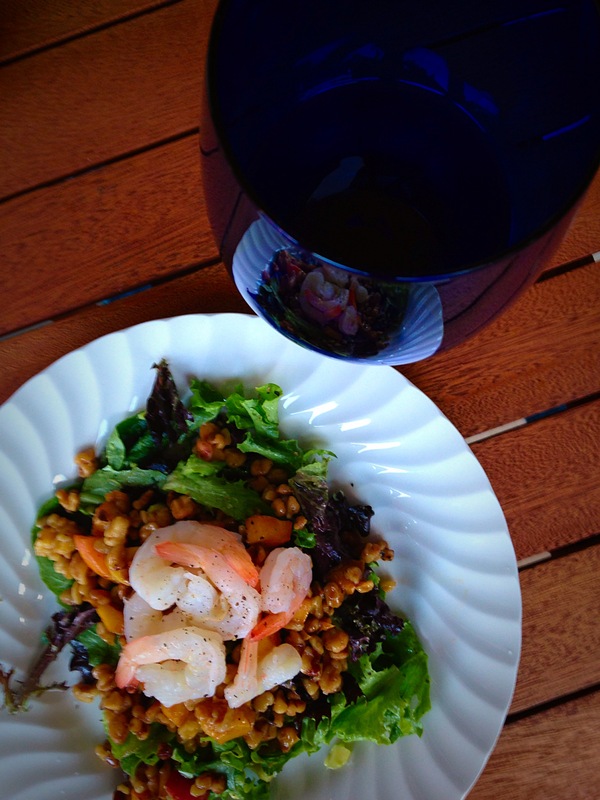 Plat with lettuce mixture, then peaches & walnuts, and finally shrimp on top.